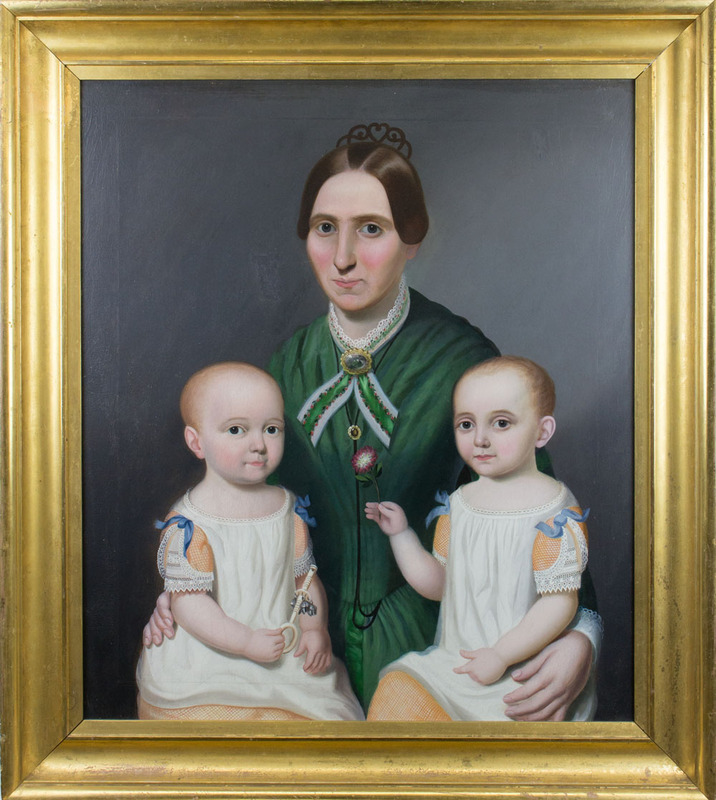 William Thompson Bartoll, Margaret Prentiss Allen with Twin Sons, James and Judson, 1850, oil on canvas. In addition to at least one painting in response to each portrait in the exhibition, Smith Corby will also contribute words that may take the form of letters and diary entries. Just outside of the main gallery, a dramatic, floor-to-ceiling red velvet curtain will lead to an interactive area where visitors of all ages, sizes, and genders may try on clothing or accessories like those seen in the portraits. The hats, shawls, lace collars, and other accessories provide the opportunity for visitors to try on and, as the title says, inhabit each portrait. The portraits present subjects from childhood through old age, and a full range of visitors will have the opportunity to don a hat, cape, or lacy garment, look in a mirror or through a frame, and imagine themselves as one of the sitters on view. Since 1891, The Trustees has cared for properties of “exceptional scenic, historical, and ecological” value in Massachusetts. Today, Trustees protects 27,000 acres spread across 116 reservations, including 15 historic houses, 350 miles of trails, and 70 miles of protected coastline. Within this backdrop, the stage is set: The turn of the twentieth century saw a rapid evolution in how people engaged in recreational pursuits and interacted with the outdoors. Easier access to open spaces, more affordable sporting fashion, and an American culture that embraced fitness and sports brought leisure pursuits to the masses. From exquisite Parisian couture to fishing waders to breezy linen dresses, the way people dressed and the accessories they surrounded themselves with enabled and enhanced their ability to relax. Using collections from five Trustees historic houses as a guide, the leisure pursuits of gardening, exercising, equestrian sports, water activities, and entertaining are considered through fashion, large-scale vintage photographs, and other objects.